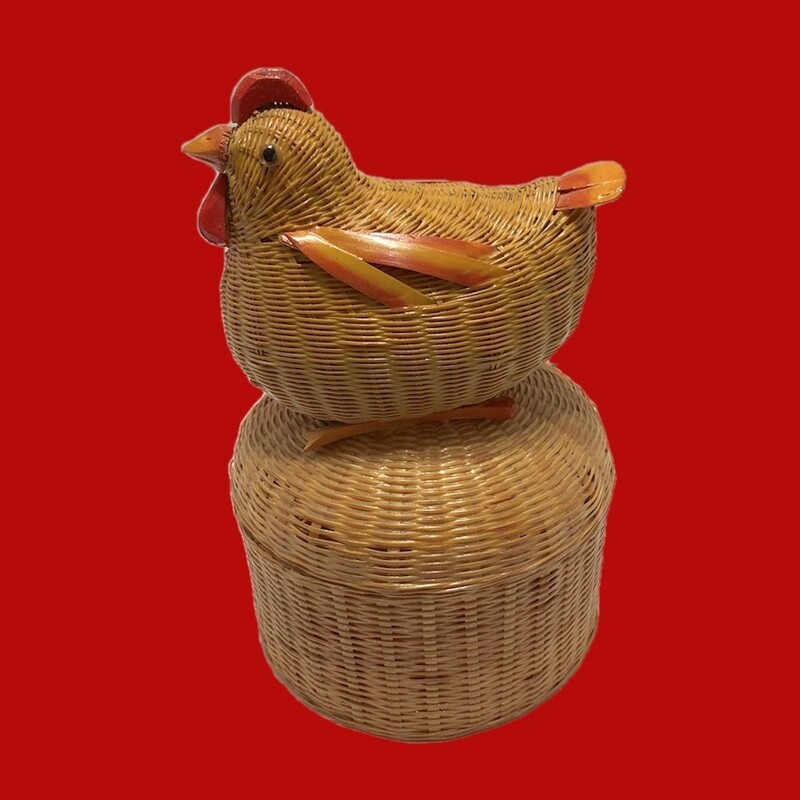 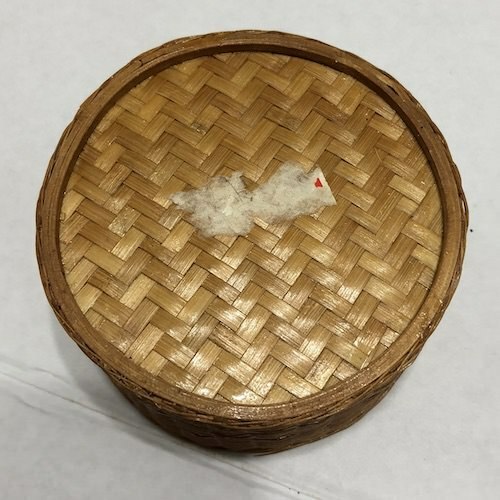 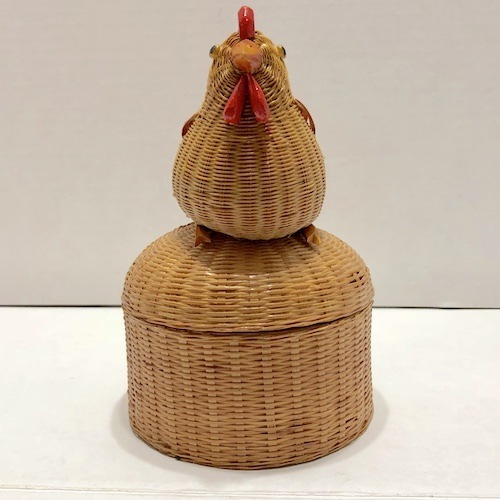 A rooster perches on the top of this great little woven rattan box. 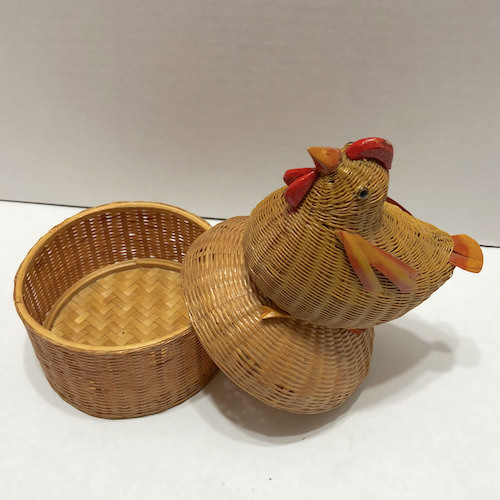 Made in the People's Republic of China, this piece likely comes from the Shanghai Handicrafts company, and is representative of Chinese export crafts way before our present "Made in China" era. 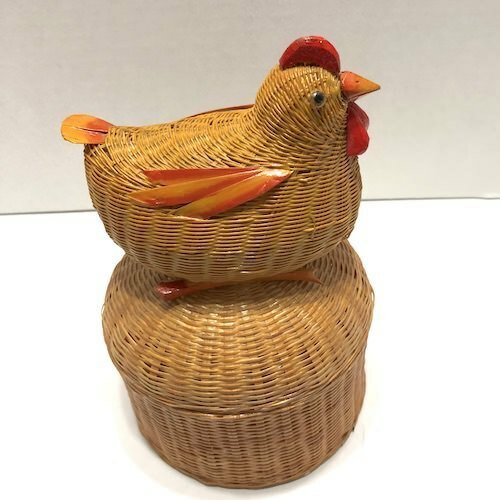 MEASUREMENTS:Approx. 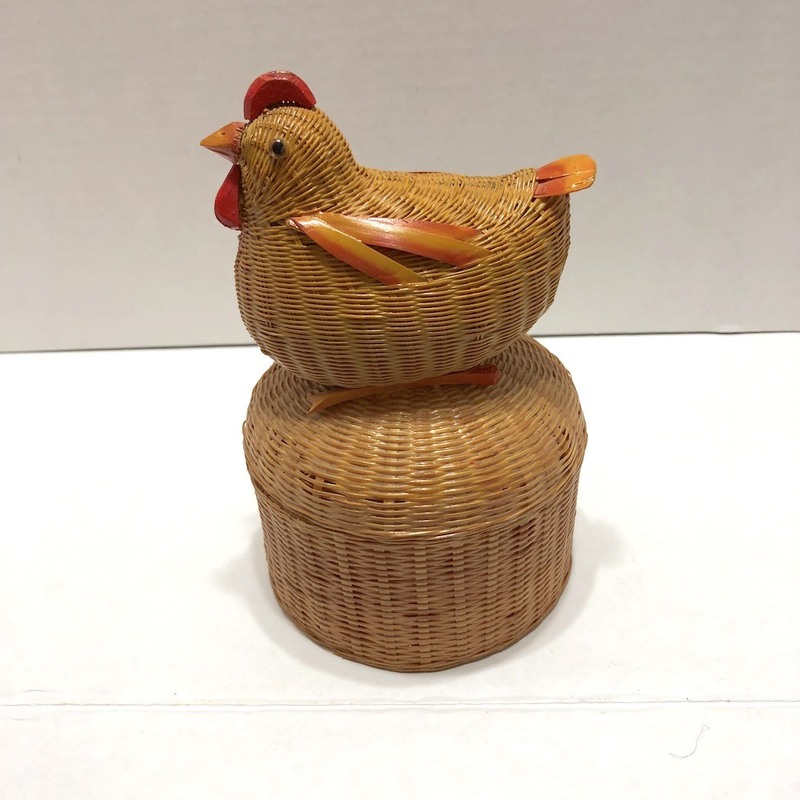 6" T x 2.5" W x 5" L.